Similar in style to his 2016 film, The Original Image of Divine Mercy, diSilva knows how to tell a story — as narrator Alana Newman relates her own story, connected with the history of the last 50 years, while driving in a vintage Volkswagen van. This visual motif keeps the sexual revolution history — where we started, where we’ve ended up presently, and where we should be heading — rolling along. The functional songs throughout also underscore the theme. 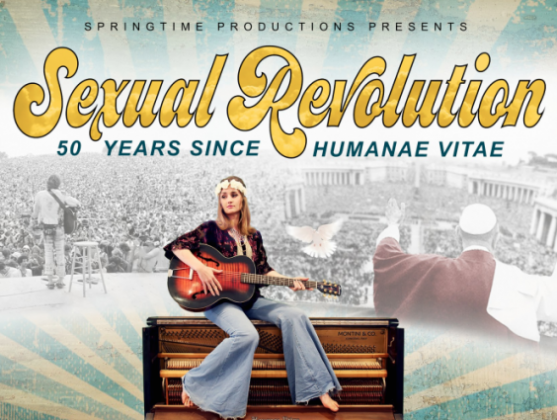 years in the making, SEXUAL REVOLUTION seeks to examine the effects of the free-love experiment of the hippie generation and the prophetic encyclical, Humanae Vitae.